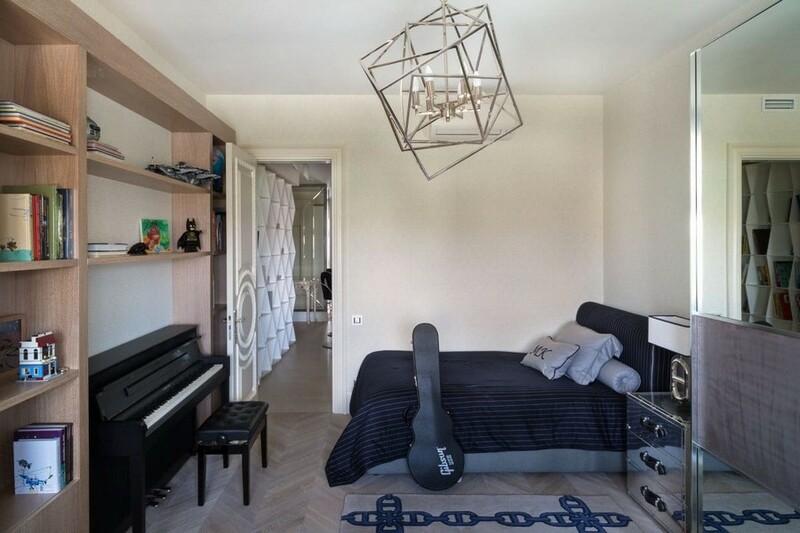 Rooms of this apartment seem to be stringed onto a common a thread and form a single interior path, each millimeter of which is detailed and elaborate. At the same time coherence and harmony of different spaces is not achieved by trivial use of similar designer tricks in the entire flat. 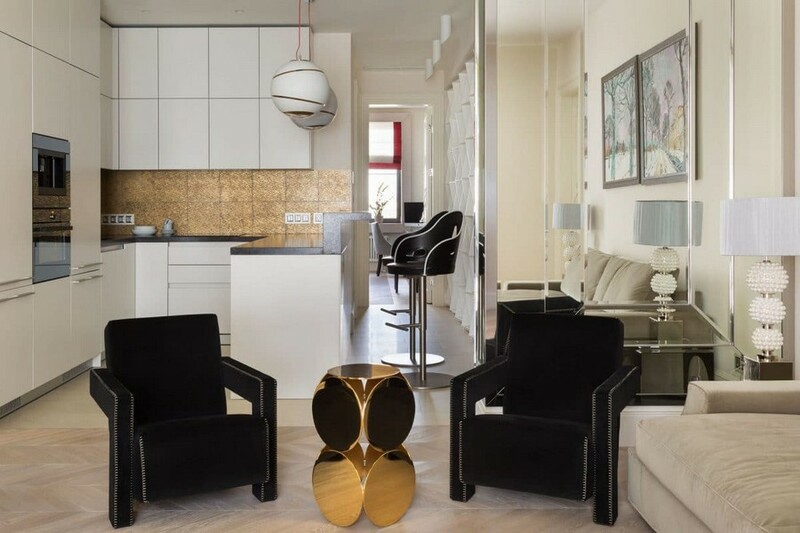 What creates the leitmotif and completes the image of this apartment is a group of decorative elements: home textile, paint, wallpaper, textures and carpentry. This interior design project was prepared for a family of three – spouses and their teenage son. The clients and the architects built up a relationship of trust, so the key wants of the owners referred to practical, rather than aesthetical aspects of the project. In developing the interior style concept it was agreed to create a modern neutral background and dilute it with a few eye-catchy accents – something original, which will make the space truly customized and one-of-a-kind. 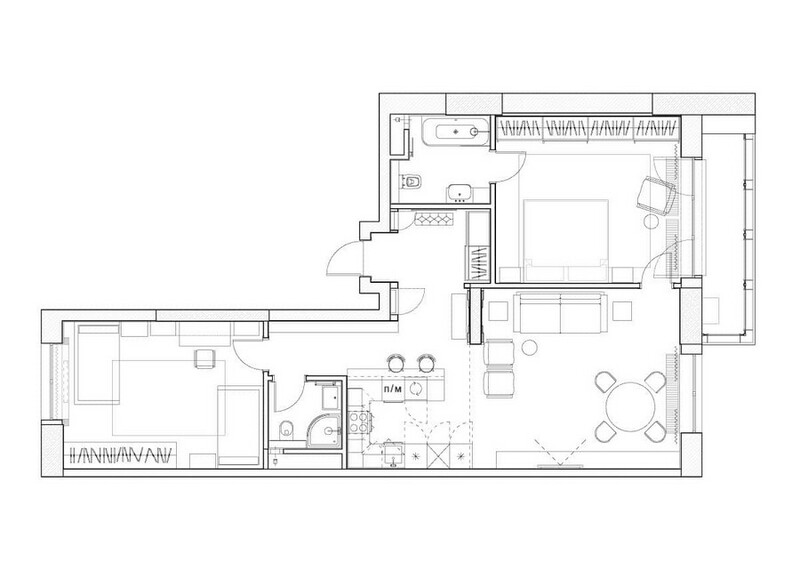 Since the area of the flat was relatively limited for creating spectacular projects (130 sq. m.), the architects did their best to make it appear bigger at least visually. For instance in the living room they faced a great problem in the form of a wall separating the hallway from the lounge, as it had a utility corridor built in. 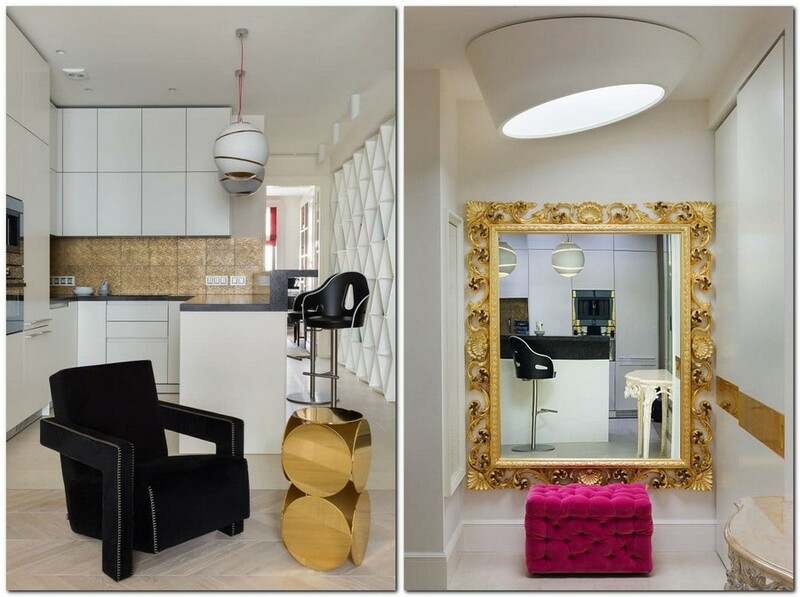 For that reason this wall was faced with mirror panels, which made it virtually melt into the interior. With the same visual-space-expansion issue in mind the designer team got down to choosing the furnishing. A neutral background was formed by a minimalist kitchen set, a laconic shelving unit and a geometrical bookstand in snow-white. All these elements created a reliable and simple architectural background for picturesque and juicy details, like a lettuce green chandelier by Barovier & Toso. Interior rhythm and accents are maintained by versatile textures — an elaborate gold-plated marble kitchen backsplash is matched by golden details of home library composition and a marvelous gilded mirror frame in the entry room. 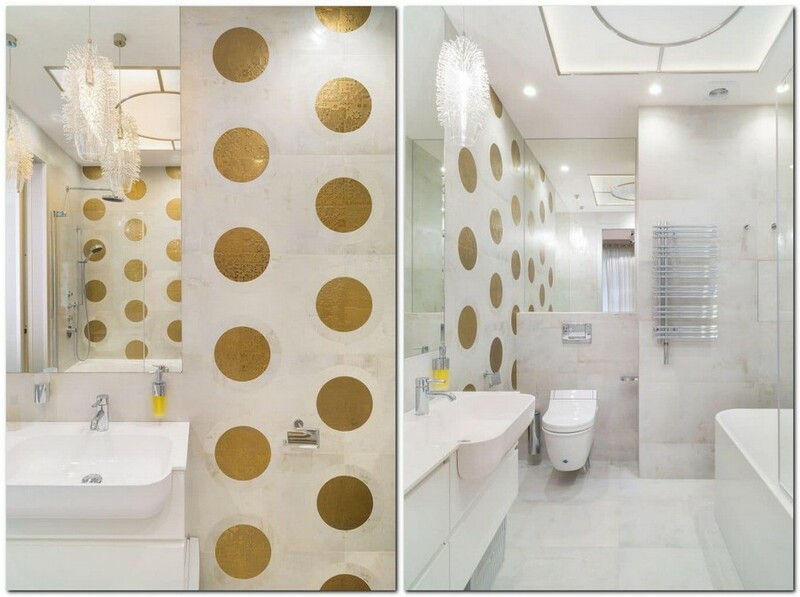 A similar scheme was replicated in the master bathroom: laconic shapes of sanitary porcelain by Antonio Lupi and Villeroy & Boch and light ceramic granite are refreshed with round textured golden décor, which sets a completely different mood to the interior. The master bathroom is a true masterpiece. 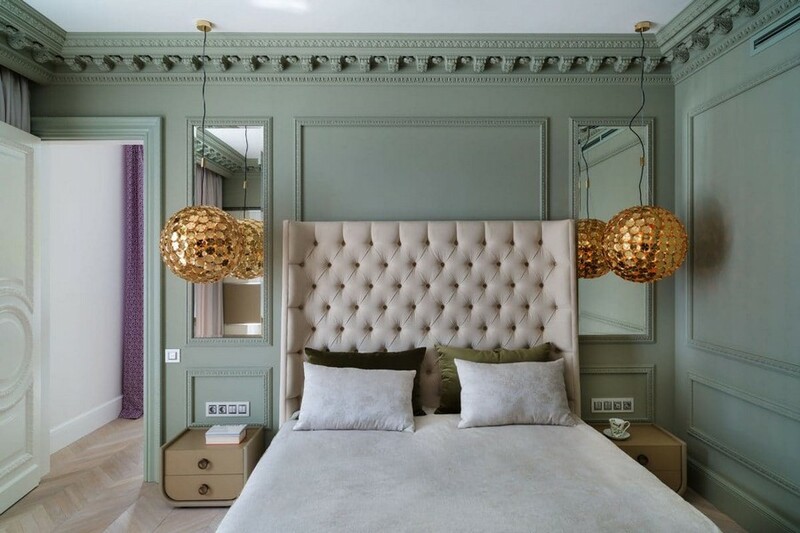 Here a classical background is formed by quite olive green wall paint, elegant crown moldings and upholstered capitone bed. 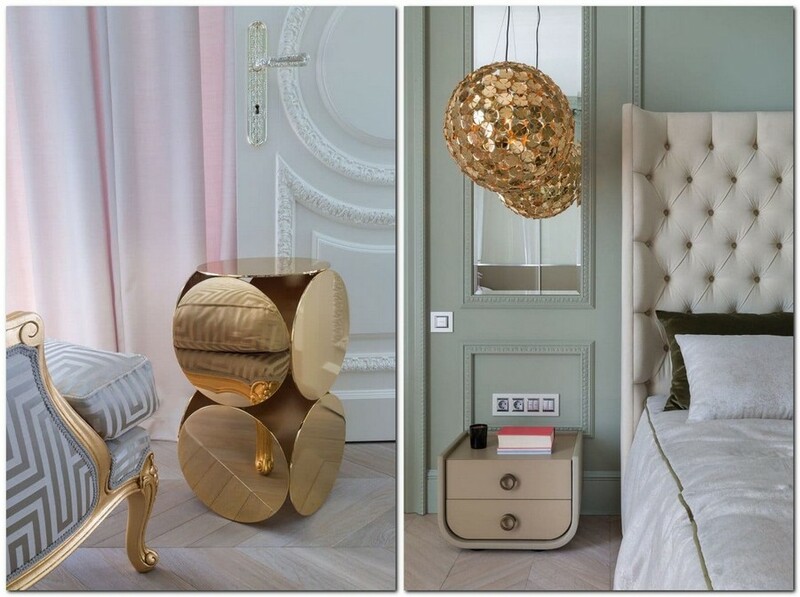 By contrast, the nightstands and the wardrobe are quite laconic. 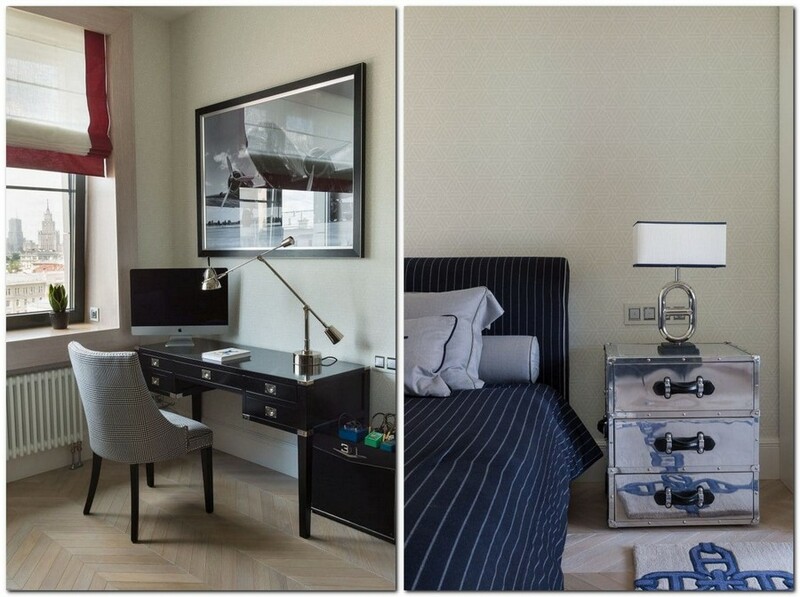 And an impressive finishing touch is brought by a couple of glamorous pendant lamps and a coffee table in art-deco style. The teenager’s bedroom is pretty “mature” and has nothing to do with typical toddler rooms. “Mannish” gray and blue color palette is coupled with brutal metal elements and mirror surfaces. And the desk and bedside table with a lamp on it remind of something nautical.